a) There is a limited number of participants in each course, ranging from a minimum of 6/7 to a maximum of 12. For particular situations, the management is assigned to consider the exceptions in agreement with the internal staff. The courses are held in the time slot communicated by individual appointment published on the site. b) Participants must be 14 years old, or older. Younger children must be pre-approved. In this case, please contact Lorenzo de’ Medici Info Point. c) On the basis of the different kind of courses, the price includes: the cooking class, ingredients, insurance, a folder with information material and recipes, the final tasting with a glass of wine and water, a certificate and an apron with the “Lorenzo de’ Medici Cooking School” logo. d) The educational activity includes the tasting of the dishes included in the program. Semi-worked or processed ingredients cannot be brought out of the kitchen. a) Directly on our website www.cucinaldm.com. b) At the Lorenzo de’ Medici Cooking School Info Point, located inside the Florence Central Market (on the first floor, opposite the Lorenzo de’ Medici Cooking School), by paying cash, credit card or debit card. c) By sending an email to info@cucinaldm.com and specifying the participant’s info (name, surname and telephone number). d) Registrations are only confirmed once the required payment has been received. Credit cards are accepted. f) Your personal data will be treated in compliance with the DDL 30 Giugno 2003, nr.196 regulation. h) In the event that the participant does not report any pathologies or allergies related to food, the Lorenzo de’ Medici Cooking School declines all responsibilities for any consequence related to the participation in the course, taking in consideration that the teaching activity also involves the tasting of prepared dishes. The School provides participants with: the kitchen equipment, the raw materials, the gadgets, the informative material (of which the participant is responsible) and the access to the spaces. The teaching material, ingredients and raw materials are included in the registration fee. The participant will use the above material exclusively in accordance with the purpose of the course, preserving the kitchen equipment and using it with diligence. He/She will also undertake to respect the Chefs indications in the use of the tools and, in any case, to respect all the general rules for a correct behavior during the courses, towards himself and third parties. The School will therefore have no responsibility for any damage that the member should cause to himself or to third parties by the use of the equipment made available (e.g. knives, pots, sources of heat, boiling water). The participant is not allowed to bring semi-finished or processed ingredients out of the kitchen. Any responsibility for reactions and problems arising due to non-compliance will not be attributable to the Cooking School. The participant is also responsible for his property or personal belongings that he carries inside the premises during the lessons, not bearing any responsibility on the School. Registering, the participant declares under his own responsibility to be not affected by any diseases and/or allergies related to food and to be able to carry out cooking classes organized by the School. In the event of a false declaration, no responsibility will weigh on the School.  Lorenzo de’ Medici Cooking School reserves the right to cancel, at any time, any course in which the minimum number of participants has not been reached; in this case participants will be refunded. For organizational purposes, Lorenzo de’ Medici Cooking School reserves the right to change the date and timetable of the courses and/or the teachers, fully respecting the quality and continuity of its classes. In order to participate at Lorenzo de’ Medici cooking classes, and in conformity with Italian privacy legislation, participants must authorize the treatment of their personal data and declare that they have received the related information given by Lorenzo de’ Medici Info Point. 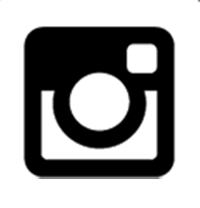 When you make the registration we will ask you to authorize the publication of photos and videos on Lorenzo de’ Medici Cooking School social channels. Each participant has the right to withdraw from our courses, art. 1373, paragraph I of the Civil Code. In the event of cancellation, written notification must be sent by email to info@cucinaldm.com. a) for cancellations given up until 4 days before the date of the event, the participant will be refunded the full course fee. • find someone else to take the participant’s place, notifying Lorenzo de’ Medici Cooking School by mail: info@cucinaldm.com and including subscription and acceptance of all above requirements by that person. c) no refunds will be given in the event that cancellation is notified within 2 days prior to the date of the course. Also, please note that if participants fail to attend a course without notice, as indicated above, no refund will be made for any reason or circumstance. a) Children between the ages of 6 and 13 may take part in these courses, subject to authorization by their father or mother or by a person exercising parental authority. b) Lessons are limited, with a minimum of 6 up to a maximum of 12 children. c) The course fee includes the following services: cooking class, ingredients, final tasting, insurance, apron, recipe and certificate of participation. d) The teaching activity foresees the tasting of the scheduled dishes. During the lessons the participants will make recipes adapted, for the occasion, as simple doughs and decorations but they will NOT be in any case in direct contact with instruments and / or cooking risky for their safety. b) Registration is considered completed only upon receipt of the course fee by the Lorenzo de’ Medici Cooking School. c) At the time of enrollment, the parent of the minor must declare whether the child suffers diseases or allergies related to food or other handicaps that may limit or condition the course of the lessons; in such cases, the Lorenzo de’ Medici Cooking School will evaluate whether or not to accept the registration, depending on the resources available at that time. d) The data assumed will be processed according to the prescribed by the legislative decree 30 June 2003, n.196. In case of non-declaration by the parent, the Lorenzo de’ Medici Cooking School cannot accept the registration. The parent or who assumes full responsibilities of the child also undertakes to enforce all the general rules for a correct behavior during the courses towards himself and third parties. The School will not therefore have any responsibility for any damage that the participant should cause to himself or to third parties. It is not allowed to bring any kind of preparation or ingredients outside the kitchen. Any responsibility for reactions and problems arising due to said non-compliance will not be attributable to the Cooking School.  It is the obligation of the parent or of the person who assumes the full responsibilities of the child to inform the Lorenzo de’ Medici Cooking School of any food allergies or intolerances. In the event of false or false statements, no responsibility will be borne by the School. Parents who wish to enroll their minor children in our cooking classes, must sign the authorization to process personal data for the purposes of privacy legislation, having received the related information (provided by the front desk of the Lorenzo de’ Medici Cooking School). At the time of enrollment, the parents of the participating minors will also be requested to publish videos / photos taken during the course for the social media channels of the School. • find someone else to take the participant’s place, notifying Lorenzo de’ Medici Cooking School by email at info@cucinaldm.com and including subscription and acceptance of all above requirements by that person.